In the NBA, the Los Angeles Lakers have become the first side to push through to the finals. They defeated the Denver Nuggets in Game 6 of their best-of-seven series, repeating last year's feat. 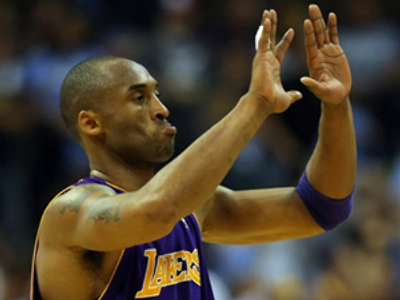 119-92 was the final score, with Kobe Bryant once again the star of the show, scoring a solid 35 points. Bryant got plenty of help scoring on Friday from Trevor Ariza, Pau Gasol and Lamar Odom as the Lakers shot 57.3% from the field to avoid having to play a Game 7 back at the Staples Center. They will finally get some much-needed rest after playing every other day for a grueling two weeks. The Lakers, who are headed to their record 30th NBA finals and are seeking their 15th title, are looking to go one better in the finals after losing to the Boston Celtics last year. They are waiting for either Orlando or Cleveland to join them.